In a press release, EA has announced which NFL pro will grace this year’s iteration of Madden and it’s none other than New England Patriots Tight End, Rob Gronkowski. 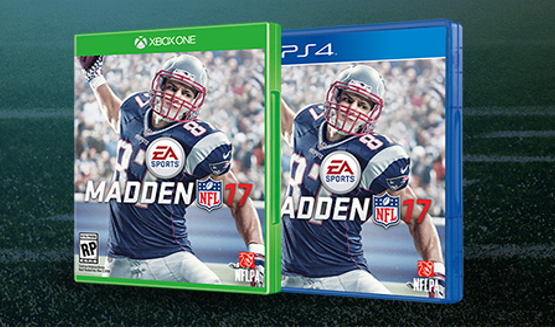 It’s a really special honor to appear on the cover of Madden NFL 17…It’s one of those things that pretty much every guy in the league secretly dreams of, so to actually be the one on the cover, it’s a really big deal. And of course, it can’t be a Madden 17 cover athlete reveal without extolling just how awesome said athlete is. In development by EA Tiburon, Madden NFL 17 will be out on August 23 for the PS4, PS3, Xbox One, Xbox 360 and PC.